The Wiarton and District Chamber of Commerce actively represents all business. While being effective in its ability to promote, encourage and develop the business needs of our community. This will be done through a strong membership base and with the strategic partnerships and cooperation of surrounding Chambers and Municipal Councils. Striving forward with the goal of making policy and decisions that will help these businesses and community grow and prosper.  The agenda of the Wiarton and District Chamber of Commerce (WDCC) is to champion the importance of business development, to partner with local festivals & events and other Chambers, and to promote the area as an outstanding place to shop, live, play, do business and return to time after time. The WDCC is fundamental to the economic growth of our community. Through introductions, facilitating projects, maintaining data and new development, we strive to always keep our members connected. We are proud of our accomplishments and feel that in an age of technology we have raised the bar in many ways. WE GOT IT IN WIARTON! !